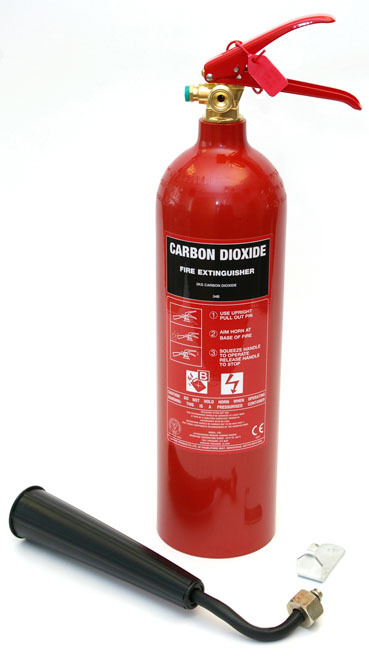 Firepower high performance 2kg CO2 fire extinguisher, suitable for tackling electrical fires or flammable liquids. The extinguisher is harmless to electrical equipment and therefore suitable for offices and workshops. It has a non-conductive, anti-static horn and corrosion resistant finish. Operated with a squeeze grip action. Kitemarked to BS EN3. Supplied complete with bracket.